‘Aside from providing them a comfy chicken coop with roosting perches and all, how do I make sure my backyard chickens stay healthy and happy?’ This is a question frequently asked to me by many starting poultry farmers. Thankfully, my experience in this industry provided me with right knowledge to answer such. Long ago, chickens were fed with table scraps that contain a small amount of oats, cod liver oil, or maize. With the introduction of chicken feed like mash and pelleted feeds that already contain the right amount of nutrients needed by most backyard chickens, these birds became healthier than ever, producing more than 200 eggs in a year. 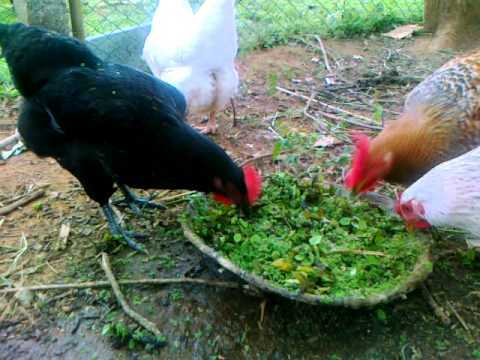 Although chickens are omnivores, which mean they eat almost anything they see – veggies, flowers, grass, seeds, grains, bugs, and even toads, they should not always feed on the same thing. So the question is, what do we feed your backyard chickens to keep them healthy? 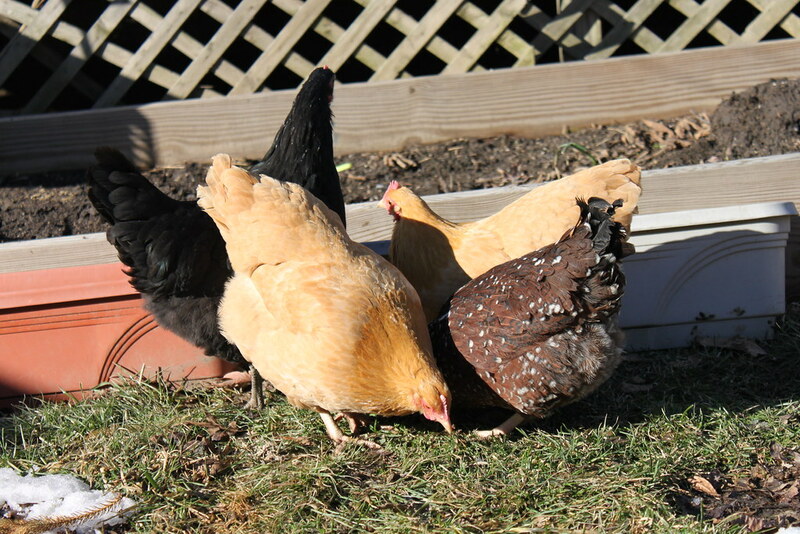 If you have an egg-laying breed in your backyard, it is best that you give them commercial laying hen pellets or crumbles. This feed is made to make hens more productive. Since pellets contain the right amount of energy, minerals, and proteins needed by hens, these should make up a large percentage of your girls’ diet. If possible, your birds must have access to pellets all day long, because if their digestive tract is empty, they won’t be able to produce eggs. If you wish to help your Araucanas and Leghorns lay good-quality eggs all year-round, then I suggest you continue reading below. I wrote an eBook that might actually help you reach your goal, so feel free to download it. Though commercial feed is great for chickens, it is important for them to have a varied diet. Always keep in mind that greens, table scraps and dirt are still considered vital components to keeping your flock healthy. Because chickens eat almost anything, they will definitely appreciate table scraps. But it has to be limited to no more than 20% of their overall diet. Greens should be given on a daily basis and should consist of spinach, cauliflower leaves, grass clods, lettuce, and dandelions. And when feeding potatoes, they should be boiled first so as not to upset their stomach. In the winter, it might be difficult for free-ranging birds to find something to peck on in the ground. So to keep them busy, you might want to hang cabbages, pumpkins, or other veggies inside the coop. Chickens also appreciate fruits as a treat. Strawberries and grapes are particularly the most entertaining because when fed to chickens, you might see them running around and chasing it with others. Take note that if you feed too much fruit, they might suffer. So use common sense with regard to the amount of fruit you feed them. Also, never ever feed them with avocados and rhubarb leaves. This is considered toxic to them. Like your cats and dogs, chickens also enjoy devouring treats. However, be careful in choosing what to give them because it can either make them sick or worse, kill them. 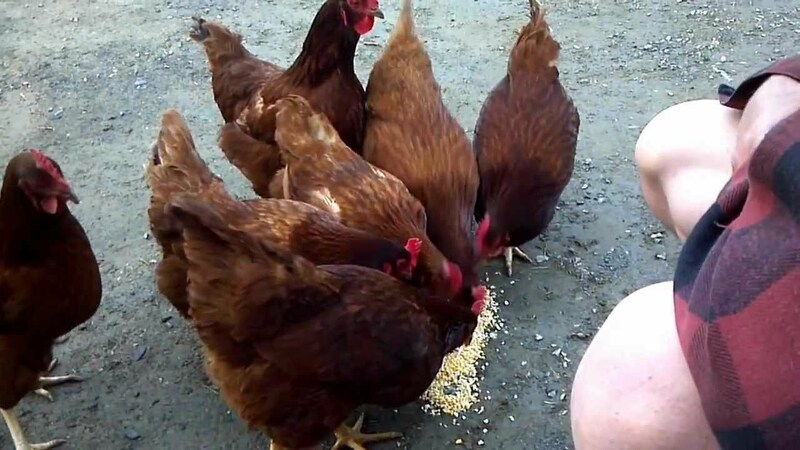 Among the treats that backyard chickens love is cracked corn. For them, it’s like candy. Unfortunately, like candy, it does not contain any other nutritional value than calories. Nevertheless, it is okay to give them a little when it is so cold. On the other hand, you can also feed them with mealworms. One teaspoon per day would already make a good treat. But some people are feeding them in bulk quantities, which is not really advisable. Mealworms are pure protein and if chickens had too much, they might suffer kidney failure. If you wish to spoil your birds, a bowl of yogurt, a piece of stale bread, or a bruised tomato would already make them feel happy. Mixed grit also makes a fine meal. If you wish to give this to your flock, make this available at all times. Since chickens don’t have teeth, grit helps grind down the food they consumed. So if possible, include oyster shell grit in their mix. Not only does it benefit their digestive tract, it also contains calcium that your birds need to produce eggs. Water is one of the most important things you must provide your flock. Even if you always see your backyard chickens playing with mud, they still need clean water. To make sure it stays clean while they are playing, position it somewhere elevated. And then, scrub the water bottle weekly. During winter, the temperature drops. Therefore, to keep water in its liquid state, use an electric heating stand. Without water in a day, chickens will die. And you don’t want that to happen. Feeding backyard chickens is never easy. It’s hard to tell how much you must feed your chickens or what to feed them. Hopefully, these ideas I presented could help.